In the past decade, speakers have changed and evolved. They used to be big, bulky speakers mounted on the walls that just looked out of place. With the advancement of materials used in speaker design, speaker companies like Speaker Craft, Monitor Audio, Klipsch, Bose, Bowers and Wilkins, Martin Logan, Polk Audio, JBL, Definitive Technology, Paradigm, PSB, KEF have lead the way to innovation of this old design. These newly designed speakers sound just as good as towers or bookshelf speakers, but are hidden and recess in the wall or ceiling. They sit flush in the wall or ceiling with a grill and is hardly noticeable. So if you are concerned about functionality over esthetics, don’t be. 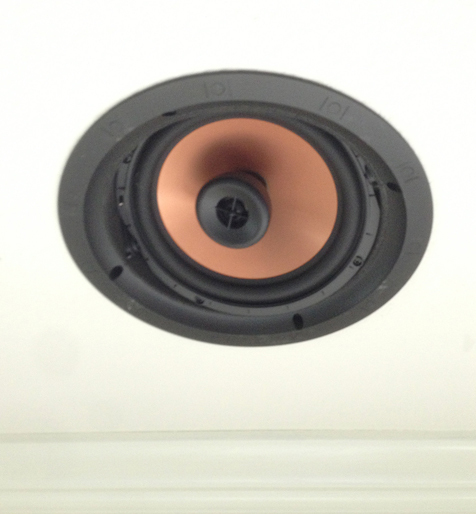 We have a wide range of speaker manufacturers to chose from. Please contact Soundwave Audio Video to see what speakers best fit your home and lifestyle.